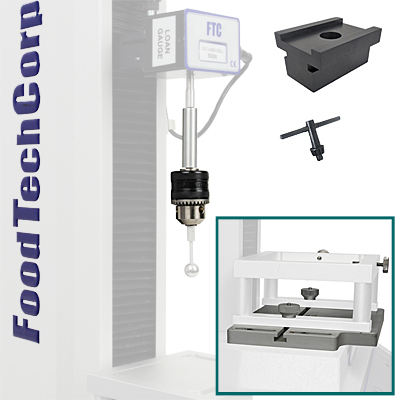 Food Technology Corporation’s range of auxiliary adapters and miscellaneous accessories enable other fixtures or loadcells to be connected, facilitate precise adjustment of the sample presentation fixture, or provide additional flexibility in the test hardware set up. 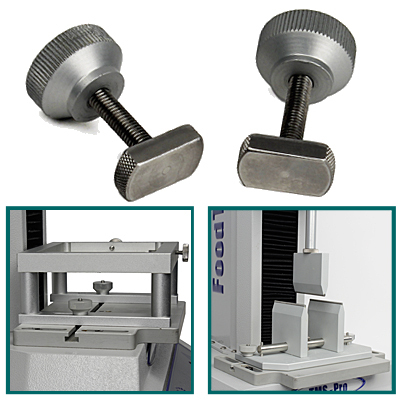 Replacement loadcell extension rod adapter for the TMS range of texture analyzers. M6 50mm Adapter, M3 30mm Adapter, 10/32/M6 Adapter and M3 locking thumb nut. Replacement heavy duty fitting for FTC prefix fixtures fitted to 100N and 250N 'S' beam type load cells. Includes all relevant fittings. Replacement heavy duty fitting for FTC prefix fixtures fitted to 500N and 1000N 'S' beam type load cells. Includes all relevant fittings. Replacement heavy duty fitting for FTC prefix fixtures fitted to 2500N and 5000N 'S' beam type load cells. Includes all relevant fittings. 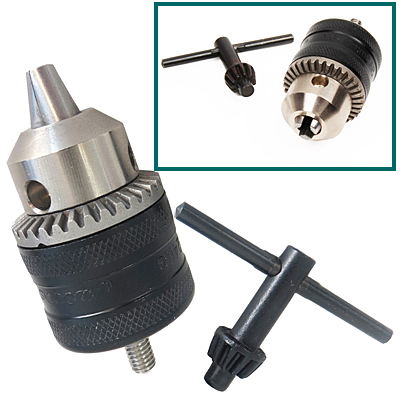 3/8" (9.5mm max capacity) Chuck with M6 top fitting. 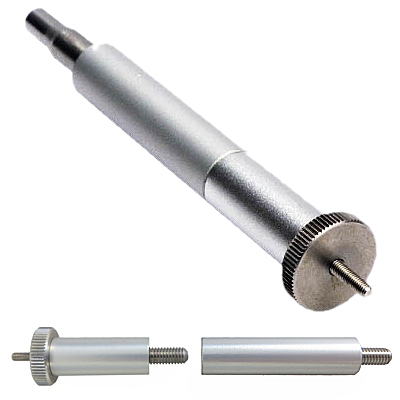 Accommodates customer’s own probes and FTC probes with shaft fitting. Replacement aluminium plate for both instruments. 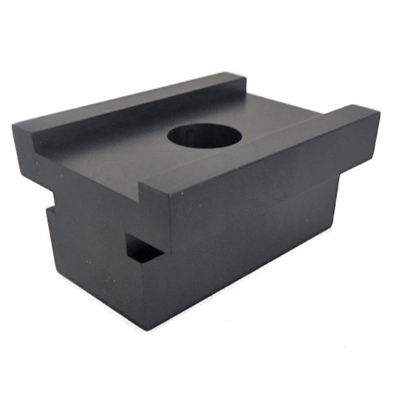 Includes T bolt fittings to secure TMS prefix fixtures. 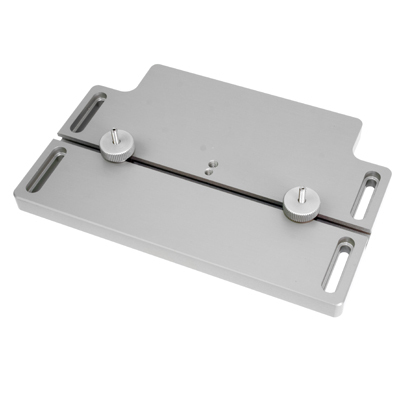 Pair of replacement stainless steel T- bolts for standard fixture table and light weight three point bend jig.